UK Hybrid Hosting is a relatively young form of web hosting that takes the best parts from dedicated and shared/cloud hosting services. Your database is hosted separately on a server where as your website is hosted in the Cloud. This helps to negate the effects of heavy surges of traffic to your website. If you’re looking for cloud services similar to UK Hybrid Hosting, consider our Cloud Hosting or Cloud Server categories. 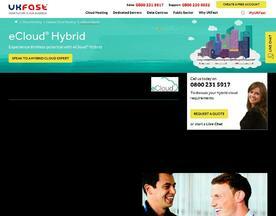 Put simply, eCloud® Hybrid gives you the best of both worlds - private Cisco UCS hardware nodes for exceptional performance and shared enterprise 3PAR SAN storage for elasticity when you need it, all backed by 24/7 expert UK-based support. 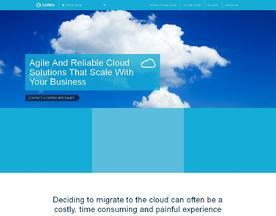 Migrating to the cloud can be a costly, time consuming & painful experience for businesses. Our experienced team take the headache out of IT operations & offer agile, hassle free solutions which enable you to scale your operations & grow your revenues. Hyve can work with you to recommend how to make the hybrid cloud work best for your business and to maximise performance. We’re also security experts, so your sensitive data and systems are protected by our multi-layered security infrastructure.